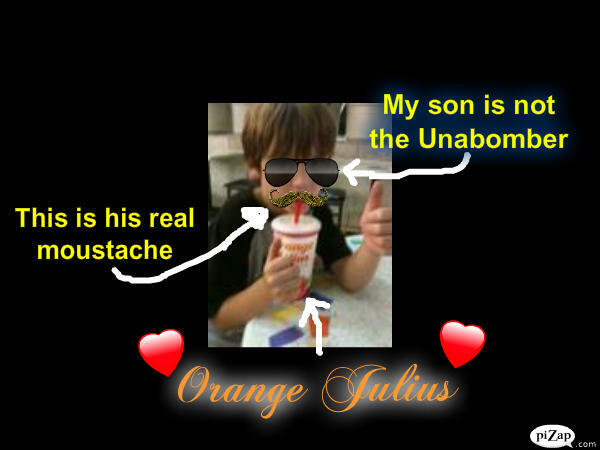 My love for Orange Julius began when I was but a child. The mall I grew up going to all the time had the lovely, foamy, sweet, frothy, beautiful, tasty and delicious orange drink. If my mother would have asked me if I wanted to keep all of my teeth or get an Orange Julius at the age of 8, I would have slurped that thing down with teeny-tiny dentures in a heartbeat. At some point, the drinks stopped coming. 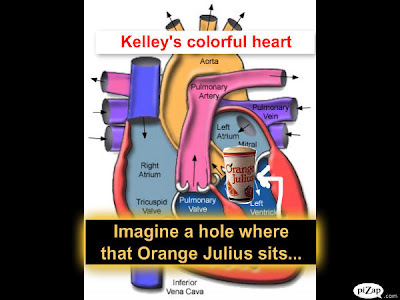 I am not sure at what point the Orange Julius went away leaving me with a gaping hole in my heart, but I know it happened. I have been on a search for a steady stream of cups of Orange Julius (sometimes affectionately called “O.J.”) to fill this Orange Julius-shaped hole between my pulmonary valve and the left ventricle but just below the left atrium of my heart for at least the past 25 years. 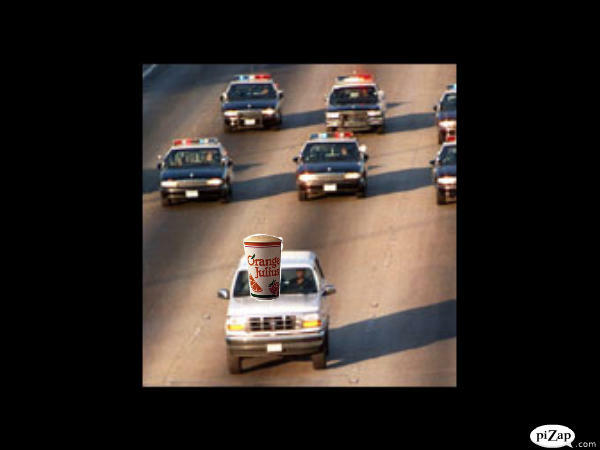 These cops apparently want some O.J., too. Call me an OrangeJuliusaholic to my face and I won’t even get out my nunchucks. You’d be right. I’ve only been able to have about 5-7 drinks in the past 25 years, though. What kind of -aholic only indulges in the thing they love 5-7 times in 25 years?? 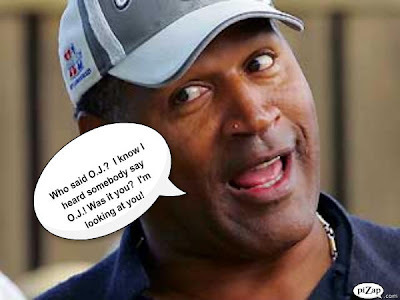 I know O.J. is at The Riverwalk Mall in San Antonio and I have also seen him in Atlanta. 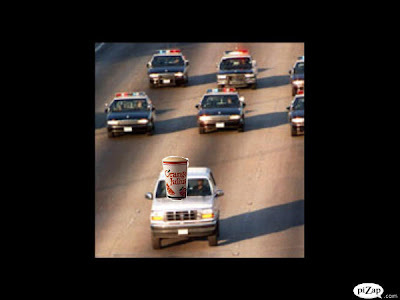 I actually make sure to center our San Antonio trips around Orange Julius (take THAT, Alamo! HAHAHAHAHAHAHHAHAHAHA!!!!!!!!!!!). When I think of those Orange Julius visits, I usually see butterflies, big smiles, rainbows and mariachi bands (that last one happens only when I think of my San Antonio fling) surrounding myself as I drink, drink, drink drink, drink, drink, drink, drink, drink, drink, drink, drink, drink, drink, drink, drink, drink it all up. My son falling in love with O.J. in San Antonio. 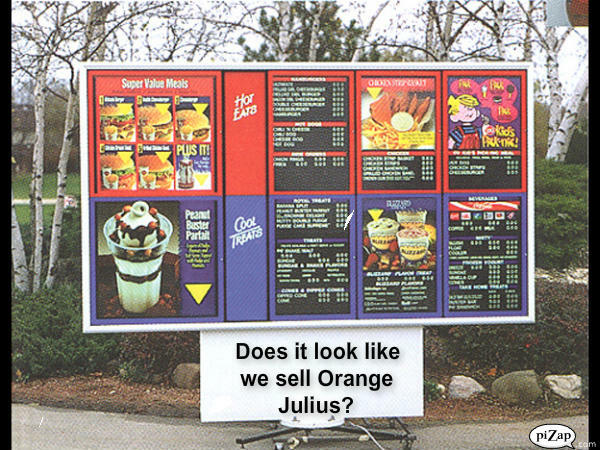 ﻿So, you can only imagine how excited I was when I passed by a Dairy Queen in a country town about an hour from our house this past weekend and saw the words “ORANGE JULIUS” on the front of the building. I was wedged between two car seats in the backseat, so I wasn’t able to propel myself out of the side window. My husband and my mother-in-law were in the front seats. I was trying to get my Go-Go-Gadget legs to stomp on the brakes, but the dang things must have needed WD-40. They were no help. Although I immediately began to hysterically cry and flail back and forth, the car kept barreling forward farther and farther away from my foamy, orange love. My rational mind knew we were trying to reach our destination on a time schedule. We were already lost and running late, but my Orange Julius-crazy mind wasn’t paying attention. After my attempts to cut a hole in the roof of the car with my son’s C3PO figurine failed (it turns out it is no substitute for a chainsaw), I whimpered silently in the back seat totally preoccupied with how we would encounter that mirage again. 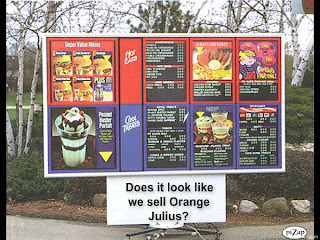 Please tell me as you sit here in the Break Room , you’ve heard of an Orange Julius before, haven’t you?? I was out of the parking lot in seconds. Seconds, my friend. In front of the drive-through menu was a bumbling idiot one second and a puff of smoke and tire treads the next. I am hoping she thought our interaction was really all a bad dream. I know it was for me. The lengths one addicted to something will go to knows no bounds. She probably realizes that people have strange food addictions due to all of the people coming in to Dairy Queen to buy a Dilly Bar. Dilly Bar. Dilly Bar. Dilly Bar. Dilly Bar. Dilly Bar. Dilly Bar. This was her first encounter with an Orange Julius addict, apparently. I hate that I had to bring her with me to that ugly place all because of O.J. All I can tell you is that this OrangeJuliusaholic is BACK ON THE STREETS looking for that mirage and it ain’t pretty. Look out!